Spring is here and moss is everywhere in the Thread Owl workshop! That's right, beautiful natural green moss! 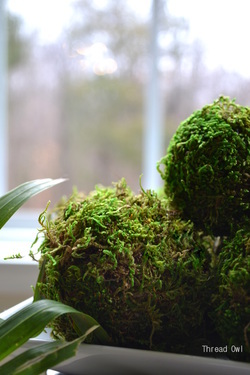 Many new products are out for spring including numerous decorative moss products and wreaths! Be sure to check out Thread Owl's Etsy page to order your spring decor now!